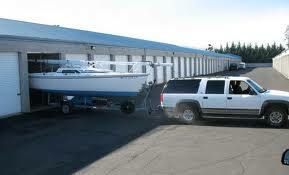 Are you looking for boat storage? We have boat parking spaces available in Pensacola, FL. Store your boat with us today! If you are in need of RV parking, we have you covered. We have a variety of parking spaces available for rent. Whichever type of recreational vehicle you need to store, we have a spot for you at our East Fairfield Drive location in Pensacola. We offer vehicle storage for your car in Pensacola. If you are in need of RV, boat or car storage, you have come to the right place! We have just what you need. Our outdoor parking spaces come in sizes ranging from 10×20 to 10×30. We also have wave runner storage, bicycle storage, motorcycle storage or ATV storage. Contact us today to discover Pensacola’s best storage for your recreational vehicle storage.